When you think of the word “diversity” you may think of sprinkling a few women, members of the LGBTQ community and people of color perfunctorily added to spice up America’s otherwise overwhelming white/straight/male-oriented entertainment product. But not everyone fits under this hegemonic umbrella. 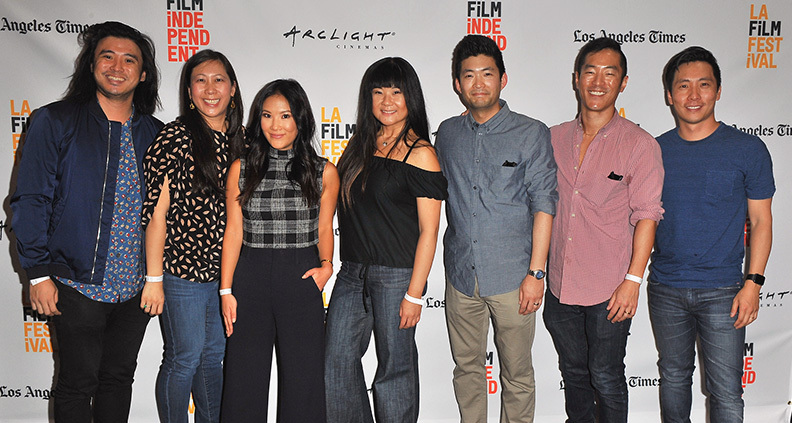 And so, on Saturday June 17, Film Independent held its annual Diversity Speaks series at Culver City’s Kirk Douglas Theater—another exciting event at the 2017 LA Film Festival. The objective? To expand the definition of the word and act as a call to action for Hollywood and the film industry. 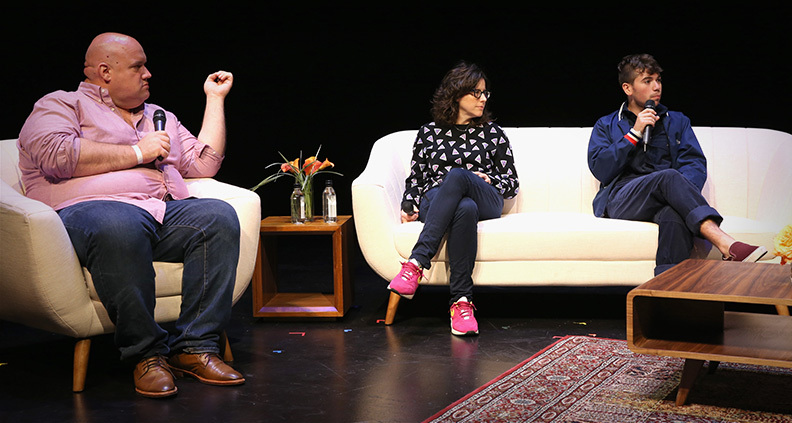 The four Saturday panels covered issues of representation and acceptance both in front of and behind the camera, regardless of how people choose to define themselves. In the first panel of the day, Cis in Trans World: Transgender Visibility, trans actor Rachel Crowl (of 2017 LA Muse entry And Then There Was Eve) talked about the importance of trans exposure. “[Cisgender] people dressing up as trans people is like wearing blackface,” she said. “We’re not going to ask Tom Hanks to play Martin Luther King, right?” She explained how Eve’s producers wanted to authentically portray a trans woman, pushing the film’s production until they found an authentic trans actor to fill the role. As trans writer/director/actor Shaan Dasani (Bollywood Invasion) added: “I do see it as problematic when cis men are casted in trans roles,” at which point the entire trans panel called out the industry for doing precisely this with The Danish Girl and Dallas Buyers Club. Additional panelists included Candis Cayne (The Magicians) and Mari Walker (Swim). The subject of opportunity transcended throughout the day. In the panel Whitewashing: Asian and Asian-American Representation in Film/TV, actor Kelvin Yu (Master of None) said, “This is a country of excess. There could be an Asian-American wave” referring to the current lack of programming centered on the Asian-American experience. 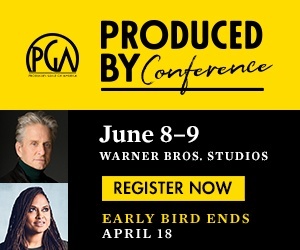 In fact, a recent diversity study by USC’s Annenberg School of Communication found that only one out of 20 speaking roles goes to Asians, with only one percent of leading roles. In an article about Netflix’s Master of None (starring Aziz Ansari and created by Ansari with Alan Yang) called POC Can Empower One Another By Helping Tell Each Other’s Stories, The Huffington Post’s Zeba Blay wrote the following: “There’s truly something to be said for solidarity among POC, especially in the entertainment world, which so often seeks to tokenize minorities, shining a light on one ‘it’ person of color at a time.” In particular, Blay was referring to the relationship between Ansari’s Dev and the character of Diane, played by 2017 Diversity Speaks keynote speaker Lena Waithe. In a dedicated Saturday panel, Waithe spoke with Film Independent curator Elvis Mitchell about her collaboration with Ansari, as well as how being a queer black woman is equivalent to having a “spidey” sense in today’s film industry. “I look at it as a superpower rather than being ashamed,” she said. “People are fascinated about it, so let’s get together and make some money.” Waithe talked about how she wanted to make TV that transcended boundaries and spanned generations, like The Mary Tyler Moore Show and A Different World—shows she said made her “feel human” as a child. 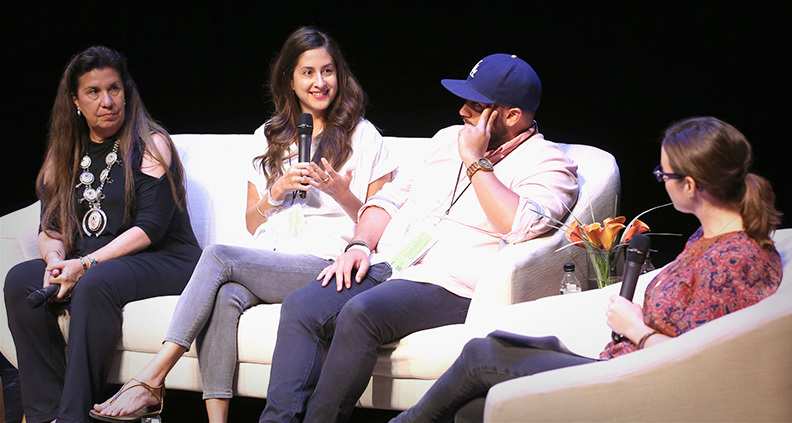 Exploring issues of representation across a variety of demographics, the panel The Other: Documenting Marginalized Stories, writer/director and Project Involve Fellow Marvin Lemus (Gente-fied) spoke about his need for representation as a kid. “I grew up my entire life wanting to be white and rejecting my culture,” he said. Lemus continued to talk about all the white faces he saw on TV as a child, and how they were often the lead characters and superheroes. “The only roles for Latinos were the maids, gardeners… I didn’t want to do that,” he said. The panelists—which also included Karey Dornetto (Portlandia) and Anne Clements (Political Animals)—discussed how being gay in Hollywood is so often correlated with activism. “I only came out a month and a half ago,” said Lonsdale, joking, “a few weeks after, I got an invite to this.” Lonsdale continued to explain alongside his fellow panelists why it was necessary to advocate for less stereotypical gay stories, as well how the lack of mentorship and strong role models can hinder young queer creators from being their truest self. “The sense of love for yourself attracts other love,” Lonsdale said. 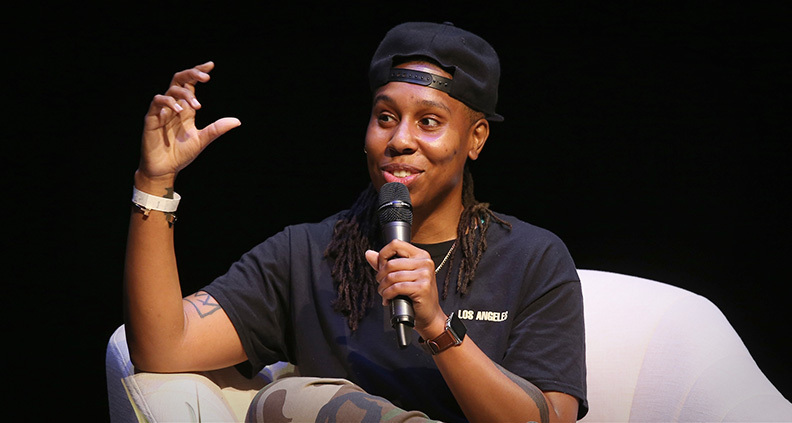 This insightful speaker series was—and still is—a necessary action towards intersectional inclusion and representation, as there are still so many marginalized stories still waiting to be told. 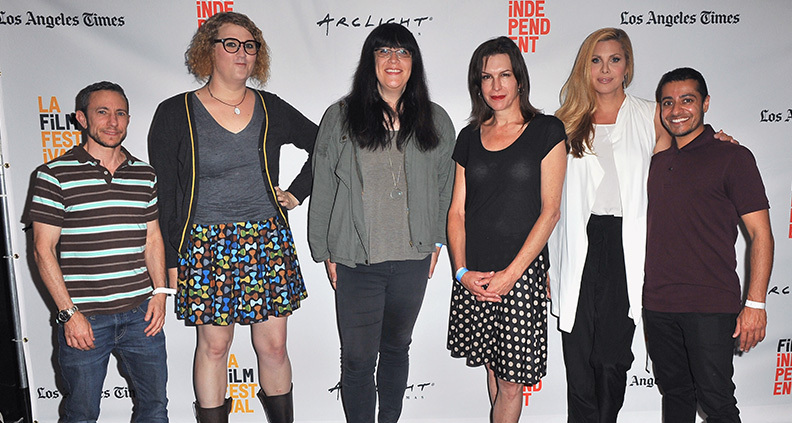 Revisiting Five Key Directing Lab Projects… Is YOURS Next?